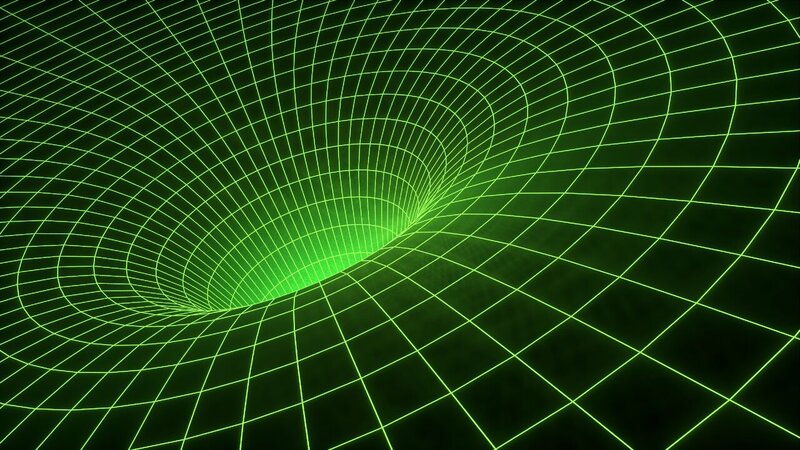 A Harvard physicist has shown that wormholes can exist: tunnels in curved space-time, connecting two distant places, through which travel is possible. But don't pack your bags for a trip to other side of the galaxy yet; although it's theoretically possible, it's not useful for humans to travel through, said the author of the study, Daniel Jafferis, from Harvard University, written in collaboration with Ping Gao, also from Harvard and Aron Wall from Stanford University. "It takes longer to get through these wormholes than to go directly, so they are not very useful for space travel," Jafferis said. He will present his findings at the 2019 American Physical Society April Meeting in Denver. Despite his pessimism for pan-galactic travel, he said that finding a way to construct a wormhole through which light could travel was a boost in the quest to develop a theory of quantum gravity. "The real import of this work is in its relation to the black hole information problem and the connections between gravity and quantum mechanics," Jafferis said. The new theory was inspired when Jafferis began thinking about two black holes that were entangled on a quantum level, as formulated in the ER=EPR correspondence by Juan Maldacena from the Institute for Advanced Study and Lenny Susskind from Stanford. Although this means the direct connection between the black holes is shorter than the wormhole connection—and therefore the wormhole travel is not a shortcut—the theory gives new insights into quantum mechanics. "From the outside perspective, travel through the wormhole is equivalent to quantum teleportation using entangled black holes," Jafferis said. Jafferis based his theory on a setup first devised by Einstein and Rosen in 1935, consisting of a connection between two black holes (the term wormhole was coined in 1957). Because the wormhole is traversable, Jafferis said, it was a special case in which information could be extracted from a black hole. "It gives a causal probe of regions that would otherwise have been behind a horizon, a window to the experience of an observer inside a spacetime, that is accessible from the outside," said Jafferis. To date, a major stumbling block in formulating traversable wormholes has been the need for negative energy, which seemed to be inconsistent with quantum gravity. However, Jafferis has overcome this using quantum field theory tools, calculating quantum effects similar to the Casimir effect. "I think it will teach us deep things about the gauge/gravity correspondence, quantum gravity, and even perhaps a new way to formulate quantum mechanics," Jafferis said.